Serial Number 5913. Dated 17th August 1964. An outstanding all-original 3-pickup 'Black Bison', one of the last and most refined examples of this iconic guitar, made immediately before the 'Bison' re-design of September 1964. This very special 'Black Bison' is one of perhaps six custom-ordered in this colour. From 1981-2013 this guitar was in the collection of Paul Day, author of The Burns Book (1979). This iconic guitar has even appeared as a Hard Rock Cafe metal pin (badge)! 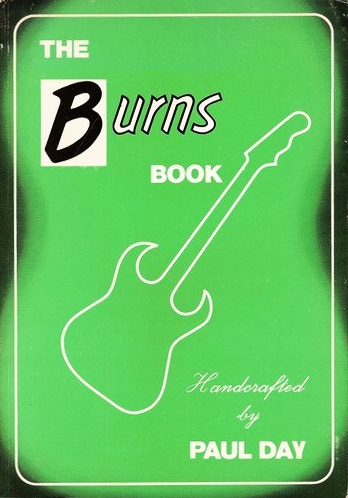 "This guitar is one of the most published/famous "Burns" instruments and has been featured in many of the worlds leading guitar publications, including "THE ULTIMATE GUITAR BOOK". The instrument itself is one of the most desirable Burns models and based on colour rarity will be in high demand from many collectors who require one of the worlds rarest, most desired vintage instruments. Rarity: One of a limited number (only 2-3 examples are known) to have been produced in translucent red. Internally/externally original. Condition 9/10 (Exceptional ++++) £8,995 GBP ($12,000 USD)"